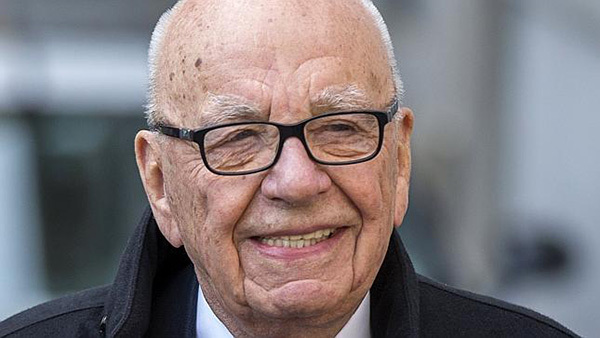 Rupert Murdoch’s publishing group News Corp says it has acquired the “social news agency” Storyful, which seeks to merge journalism with social media. US-based News Corp will pay $US25 million for the Irish-based start-up, according to a statement. The firm acquires and distributes video and user-generated content to its partners, and provides social media dashboards, analytics and other tools to news organisations to help improve their news and advertising efforts online and on mobile platforms. Storyful, which has been a partner with the News Corp-owned The Wall Street Journal, will continue to operate as a stand alone unit from its Dublin headquarters and work with media clients. “Storyful has become the village square for valuable video, using journalistic sensibility, integrity and creativity to find, authenticate and commercialise user-generated content,” said Robert Thomson, chief executive of News Corp.
Mark Little, founder and CEO of Storyful, said the tie-up will be beneficial for both firms. “By joining forces with News Corp, Storyful can quickly transform its vision into a global reality,” said Little. “We believe that journalism in the age of social media needs to be open, innovative and collaborative, and so does the business model that will sustain it. News Corp is a natural fit for a company which wants to help reinvent the news industry. “We will continue to serve the world’s leading news organisations (with more resources and focus). And we will work with brands, advertisers, non-profits and other organisations to help them realise the full potential of verified video and other online content,” Little added.